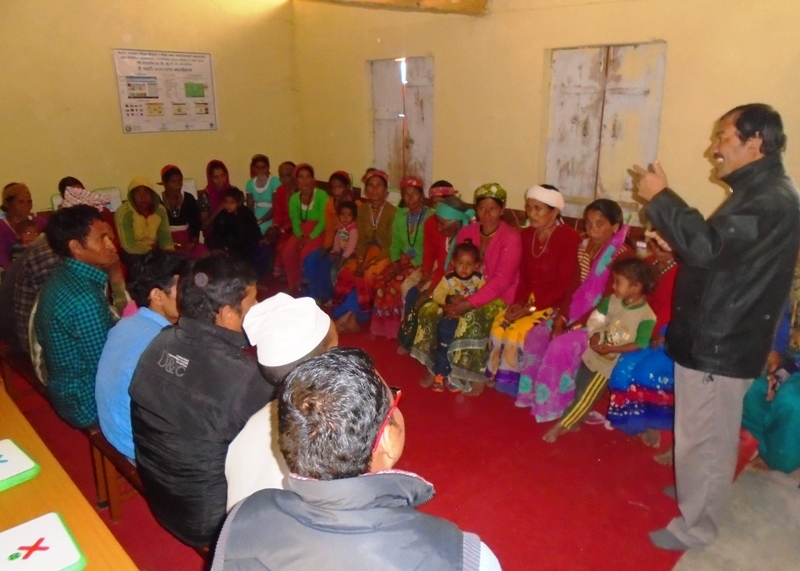 Re-post of an article by Ambadatta Joshi, a teacher from one of our project schools in Bajhang. Along with the new rising sun, there are new developments in science and technology. More than that in the sector of education, digital technology is being the focus for all the schools. All the students and guardians are attracted toward the school where there is the use of digital technology. While telling my experience of learning basic letters of English and Nepali, I learned to read and write on ‘Dhulauto’ (a small wooden board with spread dust on it used to write with a little stick, erase and rewrite). My teacher used to catch my hand and get me to write the basic letters on the board. Gradually, I used ‘Kamero’ (made of white mud and water) and then ‘Khari’ (soft white stone) to write on pati (a wooden board). Gradually, I came to use ink that was developed by fermenting locally available particular tree leaves in boiling water and filtering with a piece of cotton cloth. The pen was made of Nigalo (a particular type of bamboo found in the hills and mountains). For writing, I used to use Nepali paper locally made because my father used to develop it at home out of a kind of bush plant to write horoscope of people. Nowadays, these pens and paper are not utilised in the schools. Those days, students were quite afraid of English teacher with no reason. They used to be rather happy when the English teacher was absent. In English lessons, we used to write the pronunciation of all the words under the line in Nepali so that we could ready easily and correctly. This was the situation and feeling toward English language and English teacher when I was a student in a primary school. Nowadays, where there is the use of digital technology in English period, it is entirely different than those days. 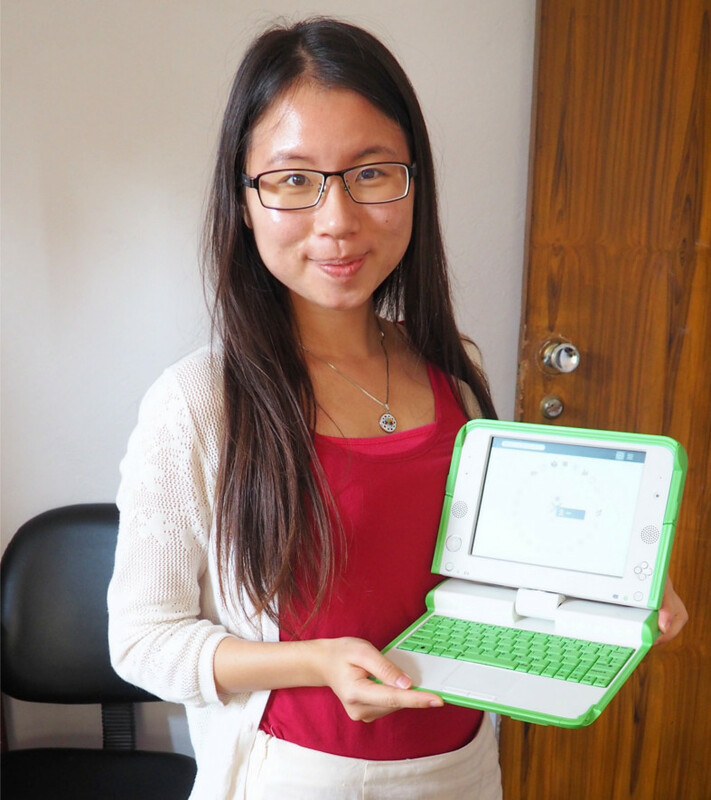 In my own school, OLE Nepal has provided 42 XO-laptops (E-pati) for the students that we use to teach English as well as other subjects. The lessons and activities those are available in E-pati are designed to obtain class-wise and subject-wise goals of education. There are audio-visual materials that help teachers and students in teaching and learning activities. We have e-library (local server) that contains over six thousand digital books in Nepali and English. Those reference books help the children as well as teachers gain extra knowledge about various local and global activities. Even the high school and campus near the school take advantage of this school e-library. This has developed good habits of reading in the children. Nowadays, the teachers feel abnormal without digital technology in their teaching and learning in our school. I can say that the schools which have got this technology are lucky. In my case, this has brought a huge difference in teaching English. The technology has cultivated energy in my profession. This has provided more opportunities for the children to practice their lessons and given relief for me in the classroom. When the children have some problems, I facilitate them in their activities. Since we got this technology, this has decreased the burden of gathering several teaching materials and saved teachers’ time as it contains several audio-visual materials for teaching and learning. The animated pictures in e-paath (an application that includes course books) have decreased my unnecessary lecture in the classroom. Various videos about wild animals, the universe, internal body parts, baby growth, development of plan out of the seed, etc. have made classroom teaching and learning very effective. Use of the technology has developed a mind of both the children and the teachers. This has become very supportive in engaging the students in the absence of a teacher in the school. The technology in the school has gradually made the guardians feel ownership of the school’s property. Their positive response toward the change in teaching and learning with the new technology has made the teachers more responsible. They feel pride that their children are learning with new technology which they had never seen before three years. The digital technology has encouraged them to further develop the school. The use of new technology has increased the number of students and decreased the drop-outs from the school. The children learn singing, dancing, playing games and other activities by watching videos on the devices. They freely select various digital books like poetry, stories, etc. for reading or drawing pictures. The most important aspect the technology has developed in the children is learning interest. I wish all other schools will get this technology to bring change in their teaching and learning activities. Otherwise, this will increase digital divide between the schools and children. In the end, the teachers should be well-trained to use such digital technology in their instructional activities to improve teaching and learning and to achieve educational goals. The Blog-post has been retrieved from ELT Magazine : Nepal’s First Digital English Language Teachers’ Magazine. For this teacher in Baitadi, a laptop is more valuable than gold!! 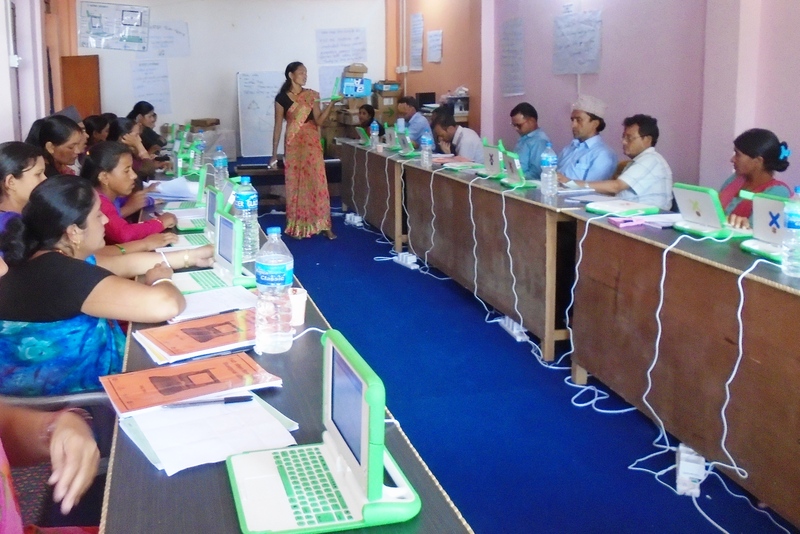 Ms. Indra Pokharel, a math teacher at Saraswati Primary School in Maharudra, was one of the 26 participants at the training held in Patan, Baitadi on September 14-20, 2016. The trainers were pleasantly surprised when she arrived at the training carrying her own laptop, although it was not a requirement. When Indra learned that her school was selected for the digital literacy program, she acquired a laptop through the generosity of her brother, who had initially wanted to buy her gold jewelry. Indra insisted that he buy her a laptop instead of the gold jewelry. Indra Pokharel conducting a practice class at initial teacher training in September 2016. But it was not just the laptop that made her stand out in the group. She was eager to absorb everything she could and was always the first one present at the training hall in the morning. She was an active participant in group discussions, and raised many pertinent questions on student management and computer-enabled teaching strategies. She was a quick learner, and prepared the integrated lesson plans very well. She was keen to learn about digital educational content, E-Paath, and spent a lot of time exploring books that she had always wanted to read on the digital library, E-Pustakalaya. By the third day of training, she was doing everything on her own with ease. During the closing session, Indra shared that she had learned more than just the computer basics, but had gained the skills to plan and deliver computer-enabled lessons in her classes. She added that these enhanced lessons will develop her students well and make them as competent as students who have easy access to libraries and online content in the urban areas. It is always a big challenge even for experienced and motivated teachers to shift from traditional pedagogical methodologies to the ICT-enabled teaching-learning approach. It demands a lot of time and effort to make that shift in an effective manner. The main objective of the training was to provide teachers with a better understanding of how ICT can be used to enhance teaching and learning process. 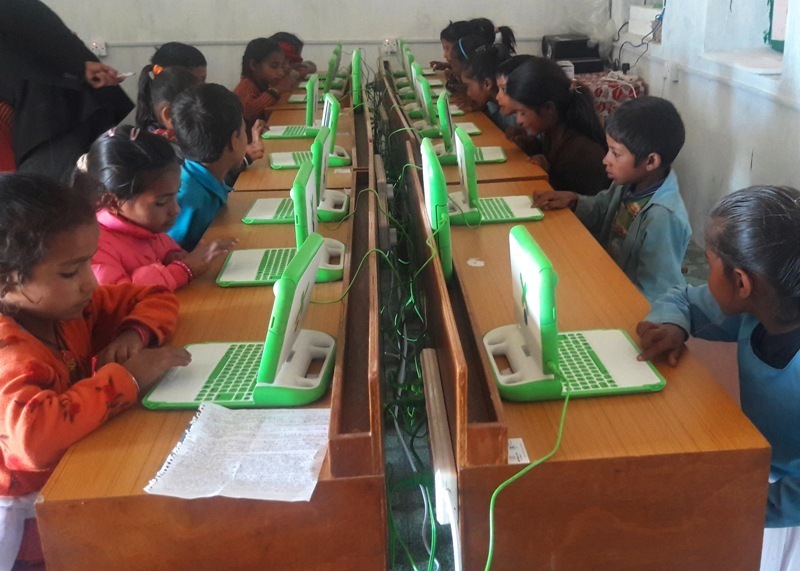 The case of Indra shows that the enthusiasm in teachers towards ICT in education and their commitment to apply it in teaching can improve quality of education in schools of remote areas. About 2-3 months after the initial training, OLE Nepal’s trainers visit the schools for the in-school training whereby they spend two days at each school to observe laptop-integrated classes, provide feedback, answer questions, hold discussions with teachers and meet with parents and community members. Our training team was eager to find out how Indra was doing when they visited Saraswoti Primary School on December 20-21. That day, Indra was teaching addition of fractions in grade 5. Indra Pokharel explaining the concept of addition of fractions to Grade 5 students, before they start activities on laptops, in December 2016. Indra followed her lesson plan and started by explaining the concept on the whiteboard, and then explained the method of simplification. She had the students do a small pop quiz before having the students explore the concept through the digital activity in the laptops. She walked around checking how the students were doing, and helped students who were stuck and answered questions from them. She then completed the class by summarizing the day’s lesson and had students answer questions related to fraction addition. Indra conducting laptop integrated class during in-school training. During discussions, other teachers mentioned that as focal teacher, Indra was always helpful when they faced issues in laptop-integrated classes. Since E-Paath has been installed in her personal laptop, she goes through the digital activities regularly to prepare her lesson plans at home. 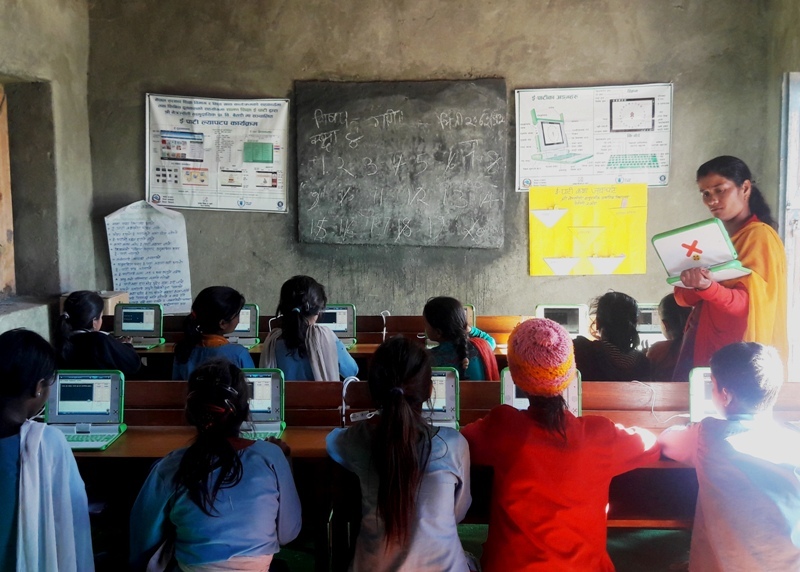 In addition to encouraging students to read books and other resources on the offline digital library that OLE Nepal has installed in her school, she herself accesses E-Pustakalaya regularly to read books and materials on professional development. She found these materials of great help in her preparation for the upcoming civil service examinations. Teachers are the key to bringing positive change in the classrooms by molding young minds into critical thinkers and learners. 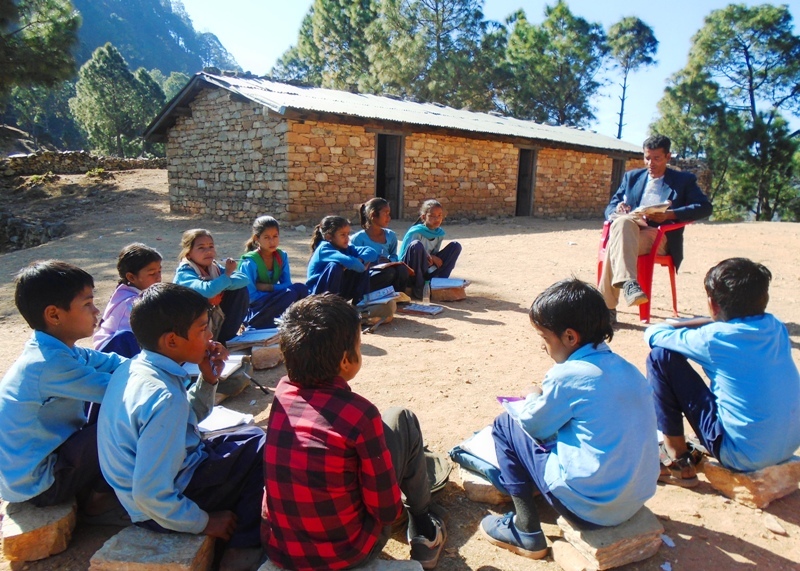 At OLE Nepal, we work with teachers in remote areas to equip them with quality resources and strengthen their capacities so that children are provided a meaningful and fun learning experience. We are encouraged by teachers like Indra who show that it is possible to transform learning in rural classrooms one lesson at a time. OLE Nepal is grateful to friends and well-wishers who have supported our efforts to provide access to quality education to children in remote parts of Nepal. 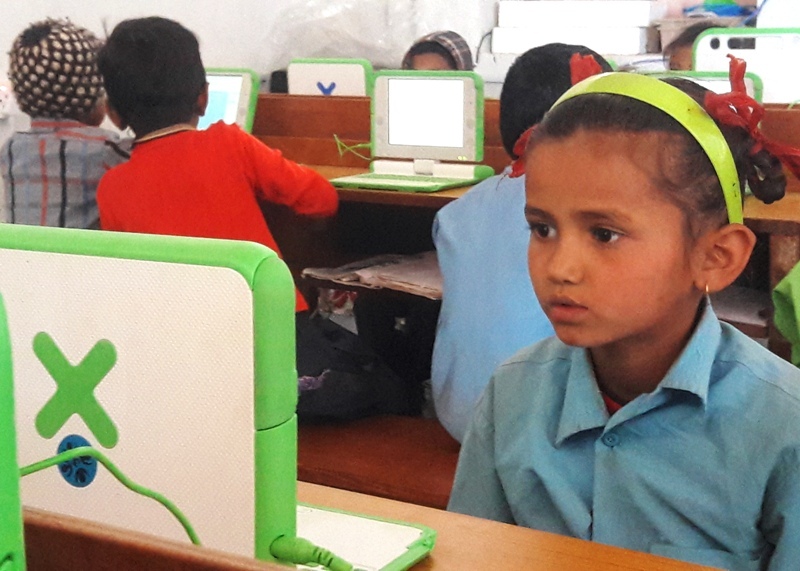 Their support have been critical in raising funds to buy durable laptops that we have been deploying to schools in Bajhang and Baitadi districts. 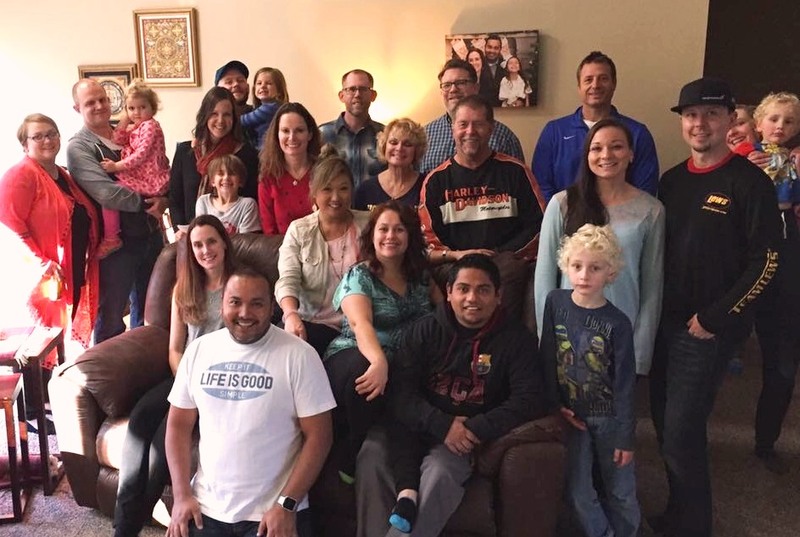 Ram Khattri Chettri and Karen James hosted the annual OLE Nepal Benefit Event at their home in Middlebury, Indiana on November 12, 2016. As in previous years, the communities of Middlebury and neighboring Goshen came together and contributed generously towards our cause. 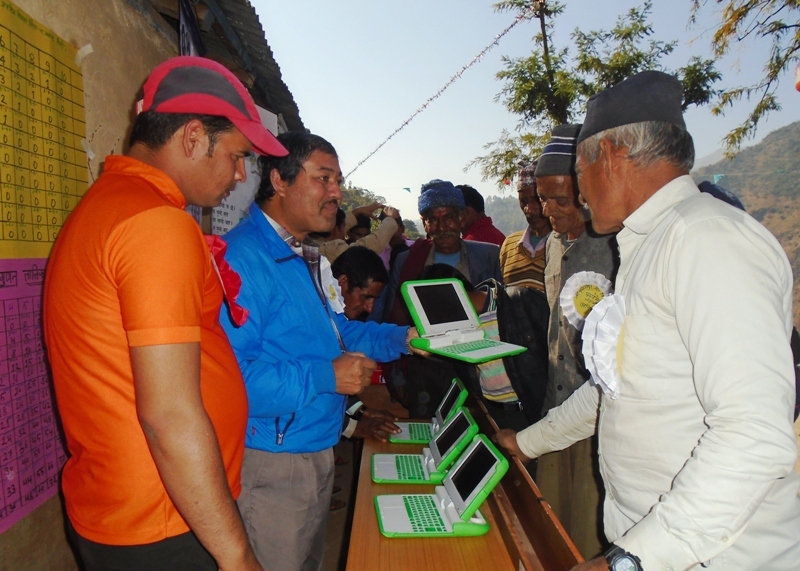 The event raised over 20,000 USD for laptops for children in far west Nepal. Their generous donation will go a long way in helping us reach hundreds of students in remote schools of Nepal. Thank you Ram and Karen for your continuous support! 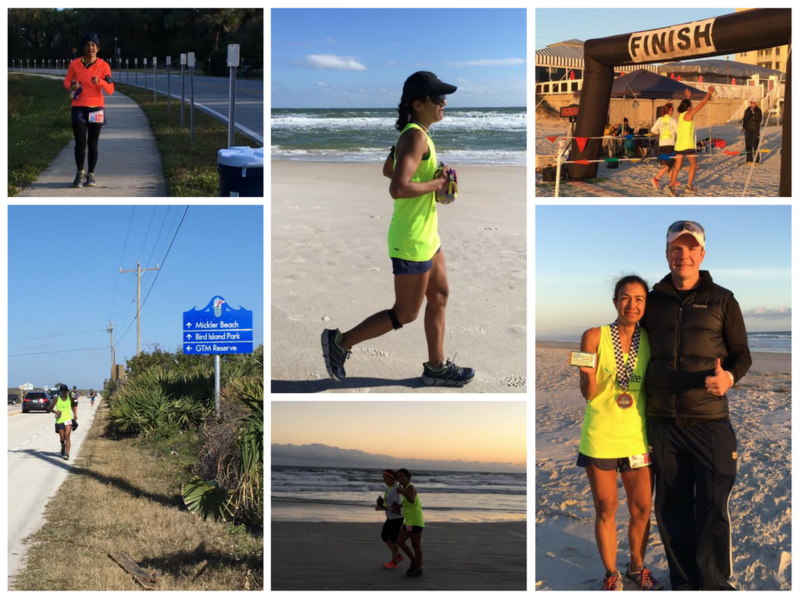 OLE Nepal would like to congratulate Sushma for completing the Daytona 100 and thank her for dedicating the run for children of Nepal. 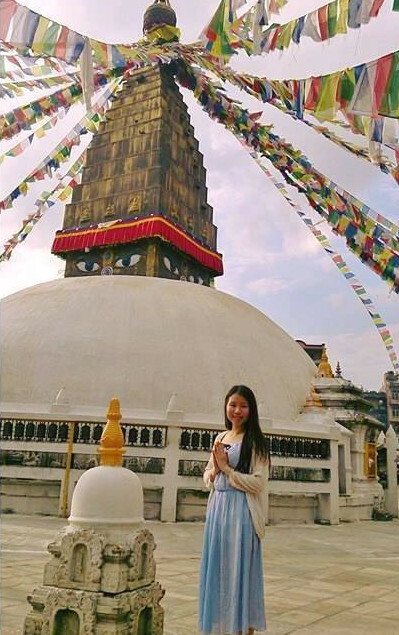 Her campaign has helped raise over 3,000 USD for laptops for children in far western Nepal. 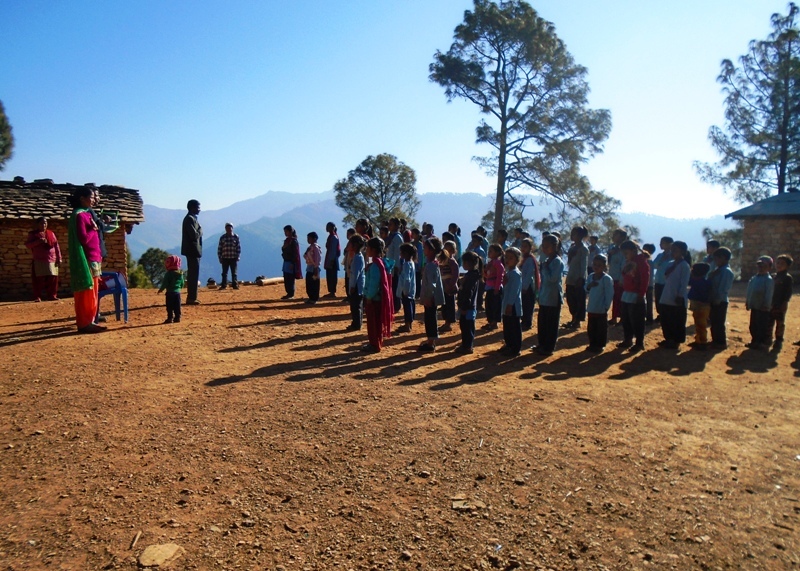 A photo story about daily school life of students at our program schools in Baitadi, as captured through the lenses of our team of trainers during the in-school training program. Two teams travelled to 15 schools spread across the district. We’ve selected a few photos from a 21-day field visit in December 2016. Right: Most of the program schools do not have access to the road. 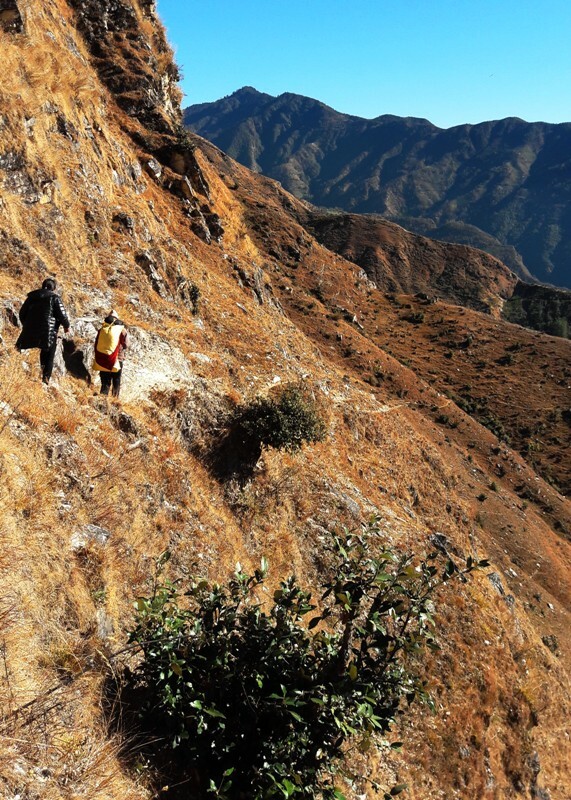 Getting to all the schools meant walking anywhere between 3 to 7 hours, mostly on rough mountains trails. At the morning assembly, students are lined up by their grade, as the teacher holds up a megaphone mic to the E-Paati laptop speaker to play the National Anthem of Nepal streamed from the digital library E-Pustakalaya. It is cold indoors… let’s study outside in the sun. Cold weather and inadequate indoor lighting urges the teacher, Mr. Krishna Bahadur Chand, to take his grade 2 students outside. Sitting on stones, class is resumed under the warmth of the winter sun. Teacher from Netra Jyoti Primary School, Melauli, teaching her students through E-Paati laptop. According to her, the best part of teaching through E-Paati is that it allows each students to learn at their own pace. 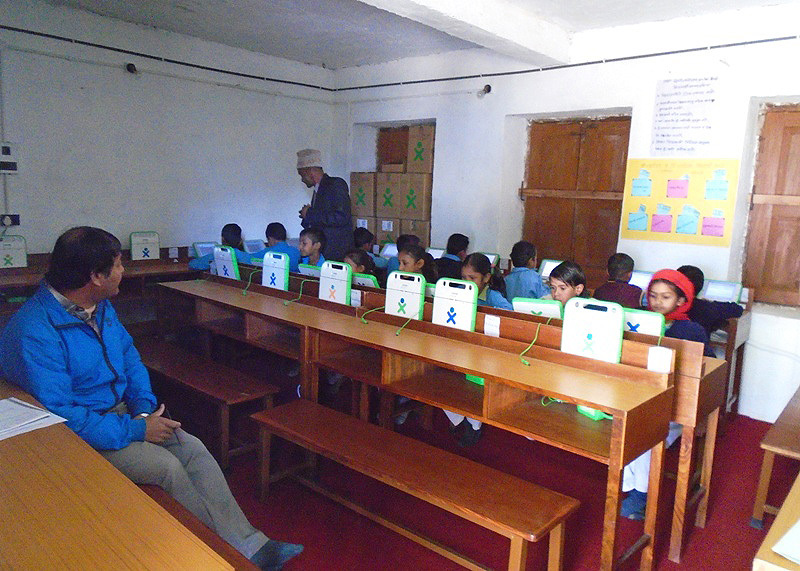 OLE Nepal’s Senior Training Manager, Tika Raj Karki, observing laptop integrated class at Nanigad Primary School in Nagarjun. Trainers from OLE Nepal visited each program school to observe and provide feedback regarding their integration of digital content. WASH your hands before you eat! Students at Singapur Primary School, Sungada washing their hands before eating. 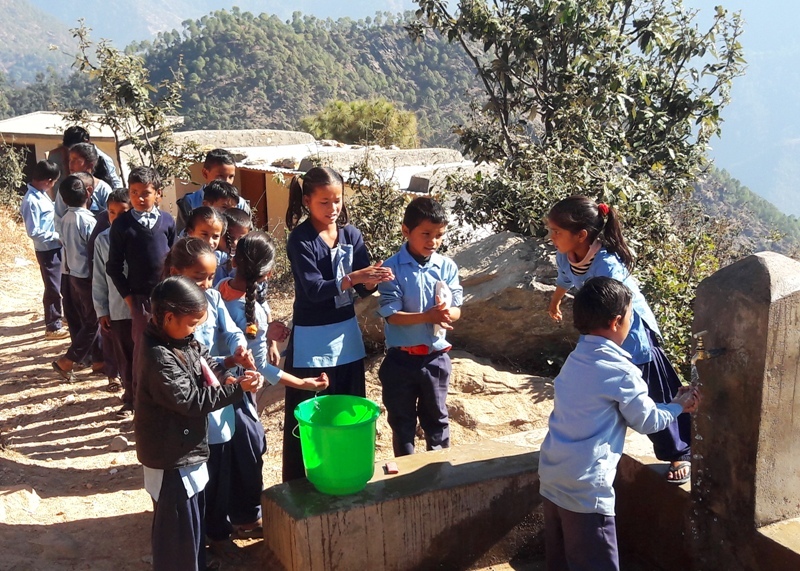 Along with the School Meal Program, UN World Food Programme is also running WASH Program in most of the schools in far-western districts, including Baitadi. Students enjoying their plate of nutritious ‘suji’. 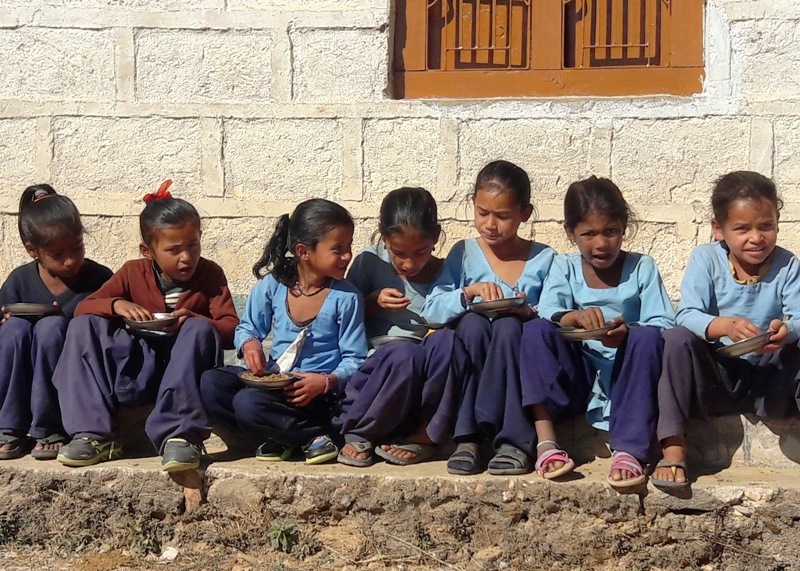 UN World Food Programme provides school meals to remote schools across the far-west region of Nepal under their “Food For Education” program. After the healthy lunch, students are happy to go back to learning new things. Students learn best, when they learn at their own pace . OLE Nepal’s Senior Training Manager, Tika Raj Karki, explaining about the laptop program with members of the Balara community at the school’s education fair. One of OLE Nepal current projects is the reconstruction of 5 schools in Gorkha, that were damaged during the April 2015 earthquake. After site selections, community interactions, and approval for the project from all district and national level authorities, the building designs were prepared and finalised. 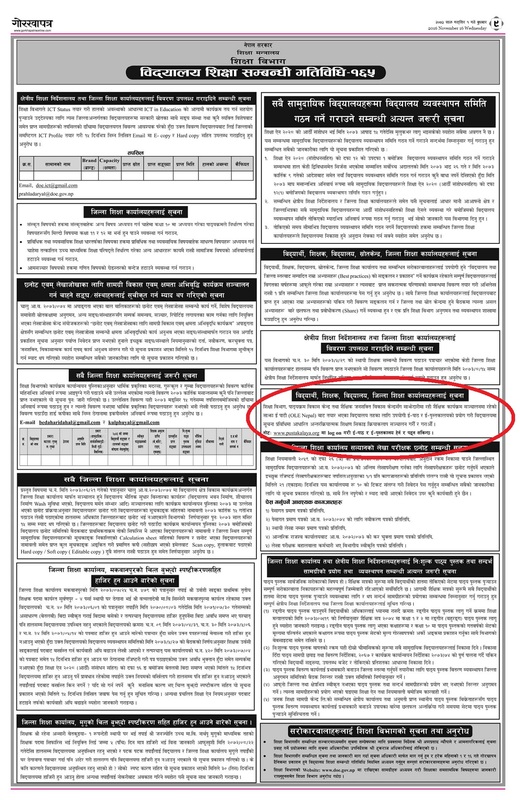 Nepal’s Department of Education (DoE), under the direction of Nepal’s Ministry of Education (MoE), publishes national education related news, notices and all important information on the national newspaper, Gorkhapatra, as a means to disseminate information to the District Education Offices, resource centers and schools, as well as students and teachers, across Nepal. On November 16, 2016, Nepal’s Department of Education published a notice to all ‘students, teachers, schools and District Education Offices’ of Nepal endorsing OLE Nepal’s digital content — E-Paath, and digital library — E-Pustakalaya. The notice urged all parties addressed to commence the use of all interactive digital content created and curated by OLE Nepal, in partnership with Nepal’s Department of Education, Curriculum Development Center (CDC), and National Center for Education Development (NCED), by visiting the digital library website at www.pustakalaya.org.